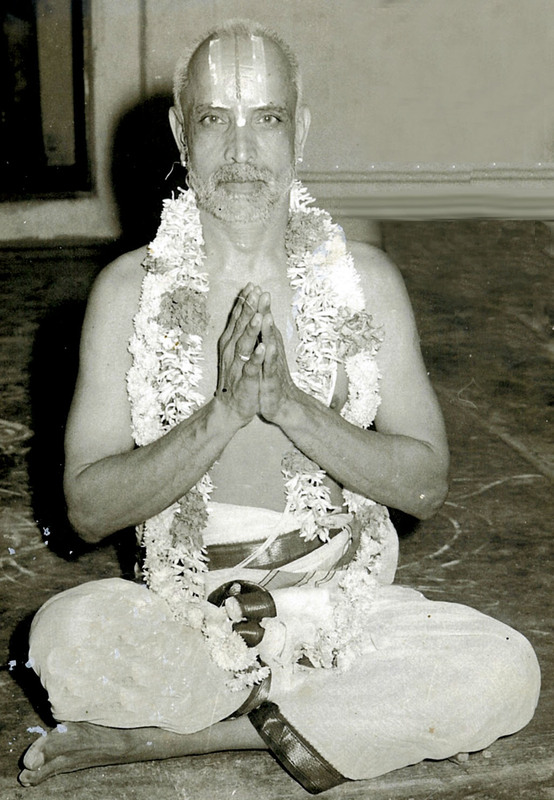 Sri Varavaramuni Dinacharyai, a good treatise, was composed by Sri Devaraja Guru, also called Acharya Erumbiappa. He was a renowned scholar and poet. 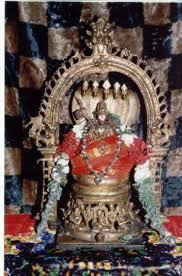 He is one among the eight disciples of Manavala Mamunigal famously known as Ashtadiggajas of Satsampradaayam. He considered Mamunigal as God and authored several works like Varvamuni Kavyam, Varavaramuni Champu, Varavaramuni Sathakam and so on. His life history is described in Yathindra Pravanva Prabhavam of Pillai Lokam Jeeyar. He lived during the period of Mamunigal i.e. 1370 and 1443. He wrote a treatise called Sri Varavaramuni Dinacharyai, which meticulously covers the ritualistic practices of Mamunigal from the time he wakes up till the time he rests back in the bed in a day. This work consists of three parts. They are Purva Dinacharyai, Yathiraja Vimsati and Uttara Dinacharyai. As the names indicate, Purva Dinacharyai talks about activities carried out by Mamunigal in the first part of a day and Uttara Dinacharyai the second part. Since, Mamunigal includes the worship of Sri Ramanuja daily by way of reciting Yathiraja Vimsati, this stotra was included in the middle of this treatise. 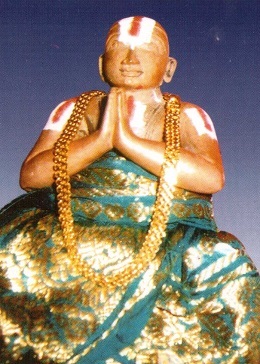 “Vadhula Veeraraghava Suri”, otherwise called Sri U.Ve. Tirumazhisai Annappangar Swami, wrote a commentary in Sanskrit around 260 years ago. Based on this commentary, Sri U.Ve.T.A.Krishnamacharya Swami of Tirupati, wrote a lucid commentary in Tamil. Following this, adiyen is attempting the English version of the same. I prostrate before Devaraja Guru, who had sweet experience like a beetle at the lotus feet of Mamunigal, preaches Brahma jnana (divine wisdom) to those who approach him, and is enlightened by the wisdom and religious practice. Originally published in SrI rAmAnuja dharasanam magazine. This entry was posted in Other, varavaramuni dhinacharyA on May 16, 2015 by Sarathy Thothathri.